In another of his regular Civil Department reports, James Barlow describes how relief has been brought to the duty signalman at Damems Junction. Pictured opposite seated on his pride and joy, we let James take up the story. 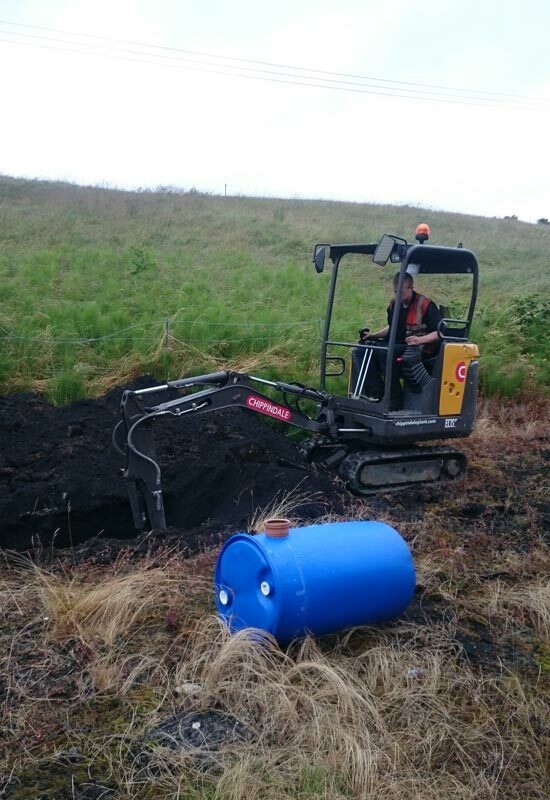 Far from just maintaining the track, the department often gets involved with small projects for the wider railway. Hopefully this article will demonstrate that we are not all about the track! Damems Junction has not always been there, the loop was installed in 1971 after the success that The Railway Children brought. We needed to run additional services. The signal box came by road from Frizinghall to Oakworth and then on the back of a train to be craned into its position. Quite a feat! Unfortunately I am way too young to remember that, and I doubt we will see something like it again. 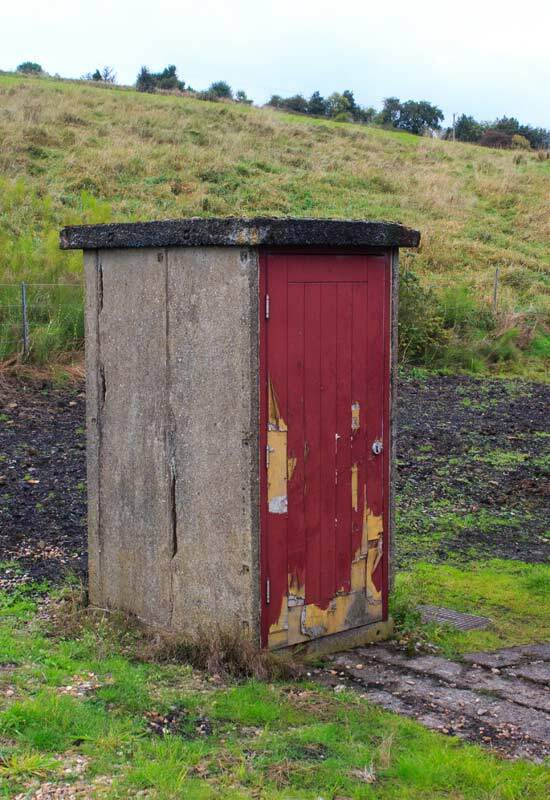 For all its hard years’ service, it has always lacked one thing, a toilet. This does present a few problems, walking to Damems Station, especially in winter, when you have trains to signal, is not ideal. It can also be seen as rather discriminatory, it essentially makes it impractical for ladies or people with certain illnesses to apply for Signaller training. Clearly this needs to change, especially as we face a shortage of signalling volunteers. Of course it is not as simple as just building a toilet. This would be too easy. It has taken nearly a year for one of our S&T engineers, Dave Harrison and I, to come up with a suitable plan. 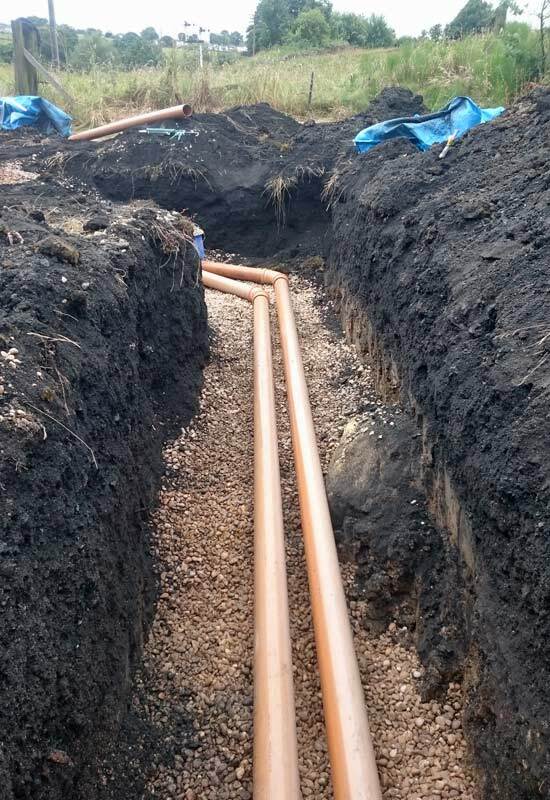 There is no sewer connection to the site. 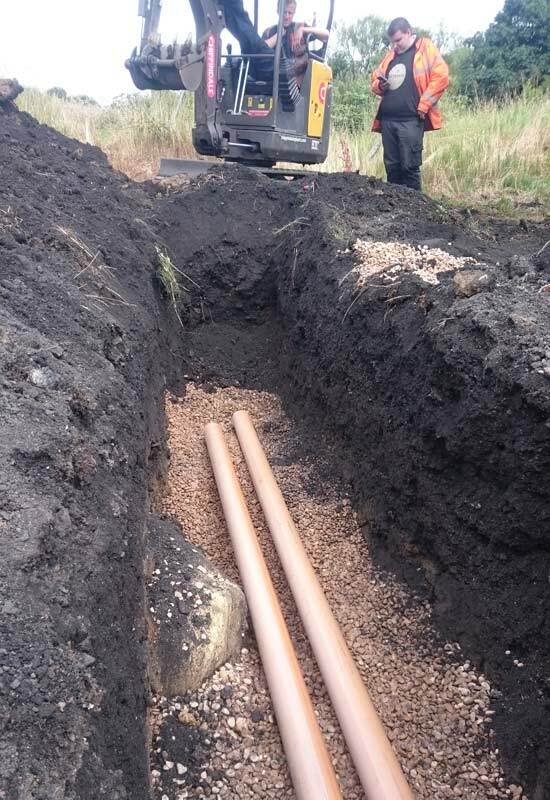 Creating one would involve over a ¼ of a mile of new pipe, expensive but also impractical considering the flows that will be produced. The signalbox is rarely used mid-week, open for approximately 120 days of the year (52 weekends plus extras). Considering an average of four visits per shift (taking into account visitors) this creates 480 flushes. At 10 litres per flush this creates only 40l a day, or 4800l a year. That is less than 10% of the average yearly volume for a family household. 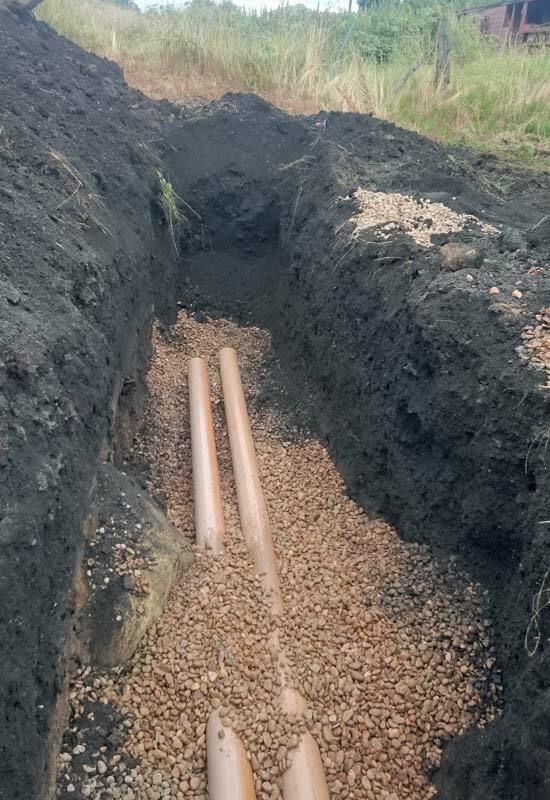 With long periods between active uses there is also the risk that the connection to the nearest sewer would become blocked. All this suggested that some form of self-contained septic tank system would be required. Now this is the point where I thought it would get easy, apparently not. Yet again the lack of flow makes it difficult to source a suitable tank. Most modern tanks contain bacteria so that a clean run off can be produced safe for putting into watercourses. Unfortunately, with our envisaged flows the bacteria would die within the first few months. After further investigation, and discounting many other options, a simple to produce homemade system was found. It simply involves two 210l plastic drums set at differing heights, allowing settlement. 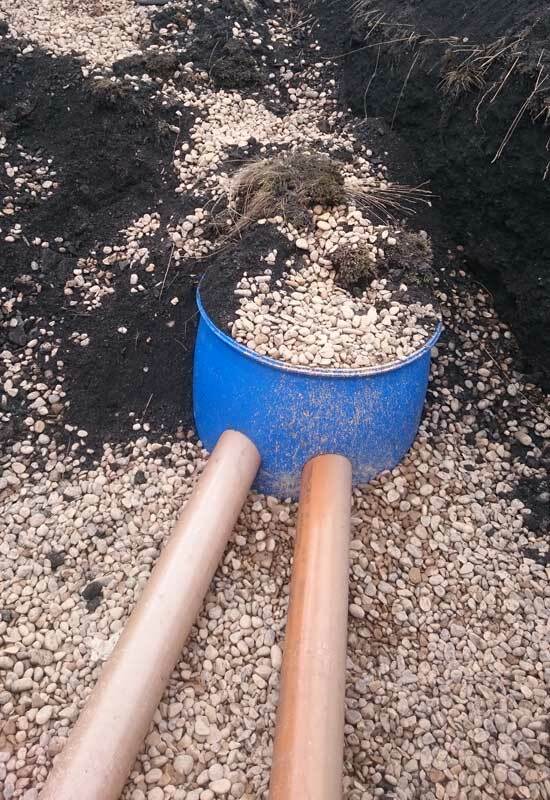 The run off is suitable for discharge into a soakaway through 12m of perforated pipe. 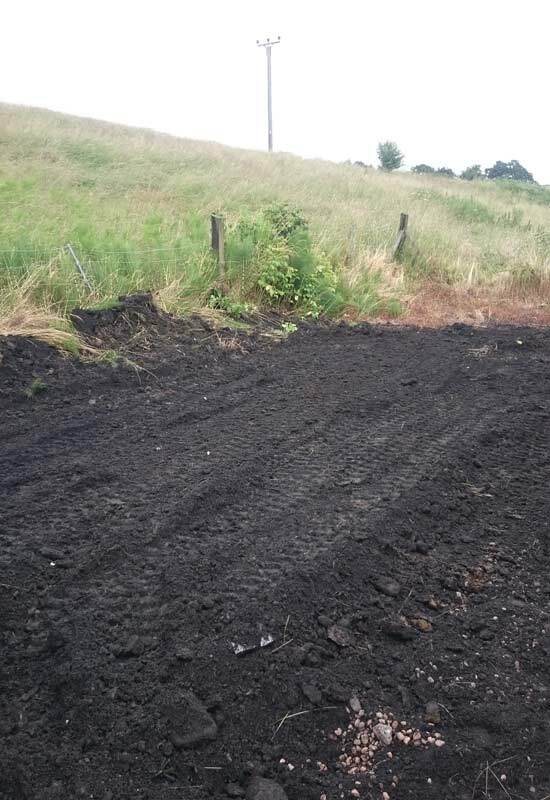 The use of a soakaway for waste is allowed, providing you can satisfy the ‘Binding Rules’ of the Environment Agency. Having read the Environment Agency guidelines more times than I can remember, eventually I could confirm that we meet the requirements due to the low flows and the lack of local protected groundwater/aquifers. Finally, it seems, the low flows worked in our favour. Construction as expected was fairly simple, the groundwork was completed during the third weekend in July. 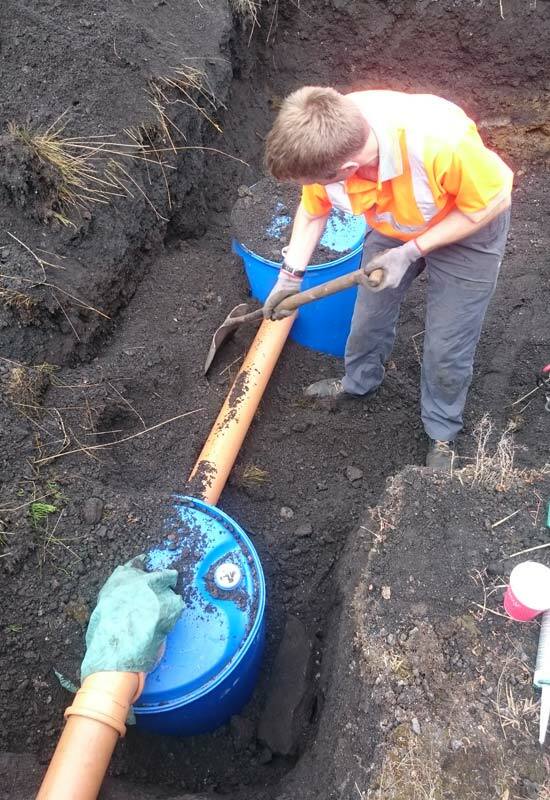 This involved the excavation of a 1.2m deep 10m long trench, installing two 210l plastic drums and associated pipework, laying a gravel bed for the perforated pipes to act as a soakaway, repairing the damaged hut and feeding services (electricity and water) from the Signal Box to the hut. It was definitely a good effort for seven hours work. The pictures accompanying this article show the various stages of construction throughout the day. The work is not finished yet either, now we move on to finding a suitable toilet and fitting out the hut so that it is fit for purpose. Time for me to brush up on my plumbing skills! Once complete the system should allow us to have a functioning toilet for at least 10 years (hopefully a lot longer) without any intervention in the system. I told you, it isn’t all about the track! I hope you have found this article an interesting demonstration of the other work the department gets up to. ‘Till the next time. Since James wrote this article, as the top photograph testifies, a toilet was found and suitably plumbed in – and smart it looks too. So the next time you pass by the signalbox in the comfort of your train, spare a thought for signalmen of the past and the efforts of the Civil team who have brought relief to a new generation in the box and given hope to anyone wanting to be a signaller, that they can sit and contemplate their work for the day – preferably with the door closed!!!. The signal box already has handwashing facilities. The writer of the article has confirmed that the signalbox already has hand washing facilities.